Join the Class (Eve Uni) chat channel. Connect to the EVE University Public Mumble server. Follow EVE University's Communications Policy. 1. 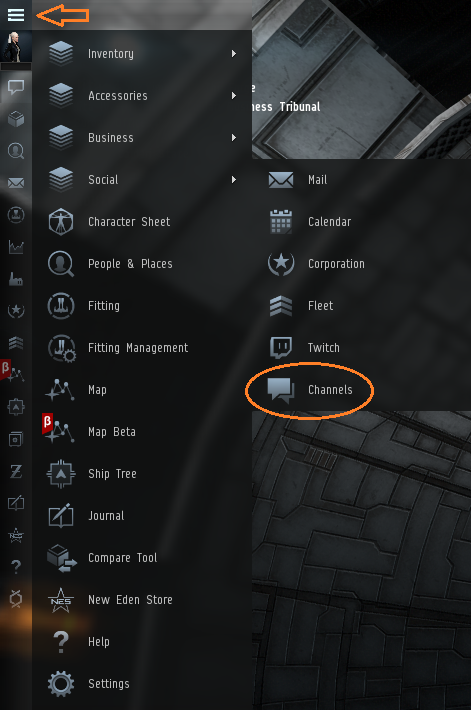 Accessing the NeoCom Menu -> Social -> Channels window (the NeoCom Menu is the top icon on the bar located on the left-side of your screen). 2. Typing "Class (Eve Uni)" into the search field and selecting "Join". For CORE Classes, we have a public server accessible by anyone; this is primarily where the class information will be presented. Once you've joined the Public Mumble server, please take the time to complete the following prior to joining the appropriate Lecture Hall channel. Once the CORE Class has concluded and you have asked any questions you may have had regarding the topic presented, we ask that you take the time to complete a Class Feedback Survey to let us know how we're doing and what we can do in order to improve our classes. We appreciate you taking the time to provide feedback. If you don't see a CORE Class you'd like to attend on the EVE University Calendar consider requesting the class in the E-Uni Class Request Thread. This page was last modified on 8 April 2019, at 06:08.